The golden maang tikka completes your traditional ensemble with elan. The tourmaline and the pearls along with the ethnic design add to the glamour quotient of this trinket. 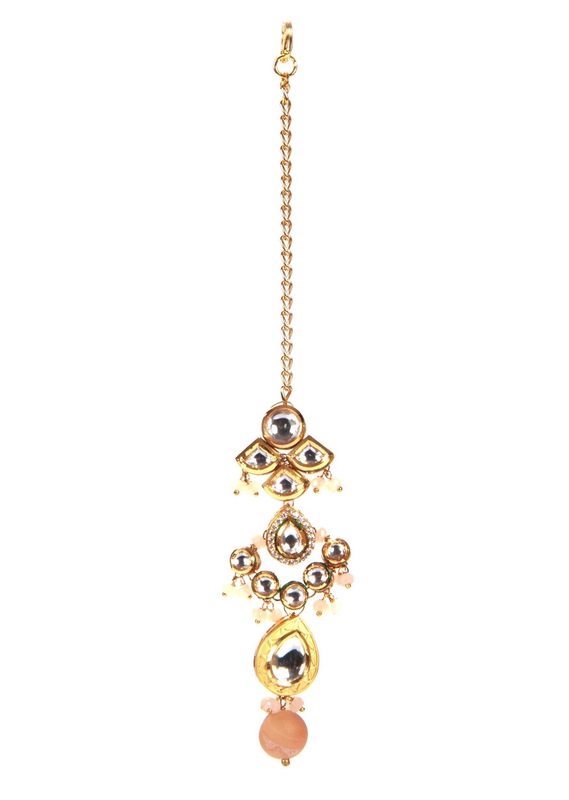 Adorn your forehead with the traditional design of this golden maang tikka. The tourmaline stones along with kundan add sheen and beauty to the ethnic accessory. The pendant style maang tikka goes well with your ethnic attires.